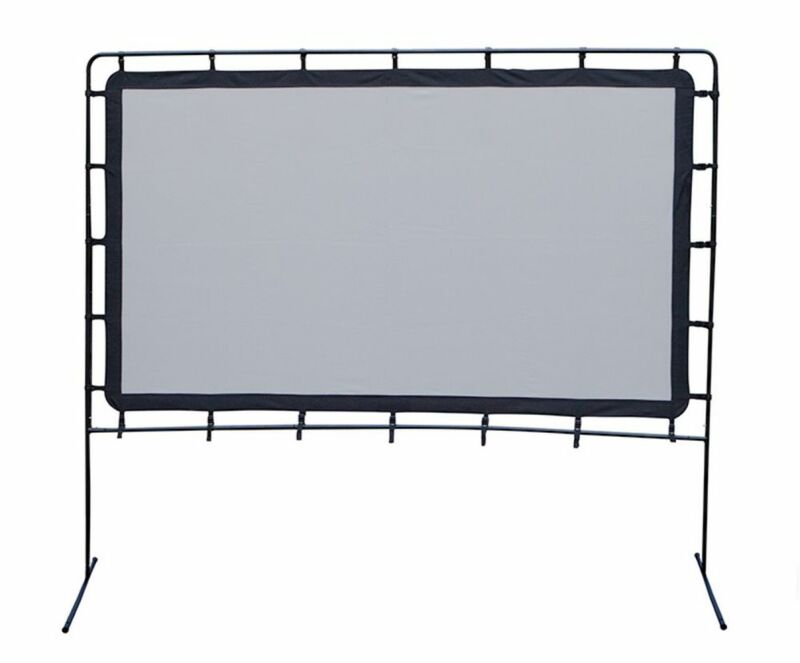 92 inch Outdoor Screen with Legs The Outdoor Big Screen 92 Lite is made of a durable oxford nylon reflective material, making it perfect for highresolution picture and enriched colors. The screen is designed for front projection making it versatile in almost any situation, indoor or outdoor. Great for movies, business seminars, sporting event, gaming, and more. Set up is quick and easy. Simply connect the frame together, clip the screen into place, tighten the straps and the screen is ready for viewing. Stakes and tiedown guy lines are included for increased stability. When finished viewing, everything neatly packs into the carry bag for storage.